Mmmm…these nuts sure are good! 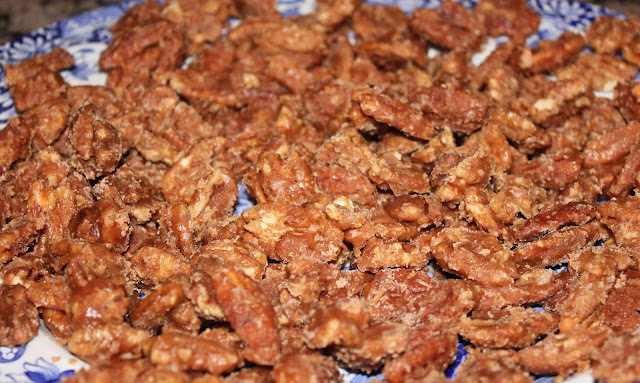 As a kid, I grew up hating all types of nuts: pecans, walnuts, almonds, you name it, I hated them. My mom would always bake a pan of brownies – half with nuts and the other half without, since my sister and I were picky. The same would prove true with batches of cookies. When I went to college, my taste buds changed dramatically. I actually started liking vegetables and salads, & no longer ordered chicken tenders and french fries at restaurants. I also discovered my love of nuts, especially sugared nuts! Two weeks ago, in preparation for all the desserts I was asked to bring to holiday potlucks and life groups at church, my mom came over to help me bake. She pleasantly surprised me when she suggested we make our family crispy sugared nuts recipe. 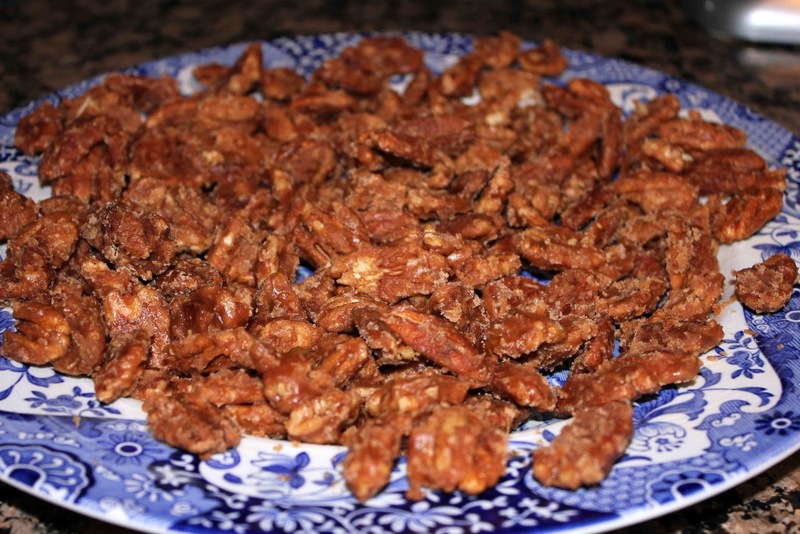 If you’ve never made candied/sugared nuts before, now is the time to start! They are extremely easy and almost impossible to mess up! Most people will find that they have all six ingredients in their pantry to begin with…unless you are short on nuts! The original recipe calls for walnuts, but both my mom and I like pecans better, so we made a simple substitution. The cinnamon-sugar coating adds a perfectly sweet flavoring to these nuts, and also makes them quite addicting, especially if you eat them as a snack. Enjoy… hurry, you’ve got to try these before the holiday season ends! Combine water, sugar, cinnamon, and salt. Heat until boiling or until soft-ball stage (236 degrees F). Fold in chopped nuts and vanilla. 1. Heat nuts in 375 degree oven for 5 minutes, stirring once. 2. Butter sides of a heavy 2 quart saucepan. 3. 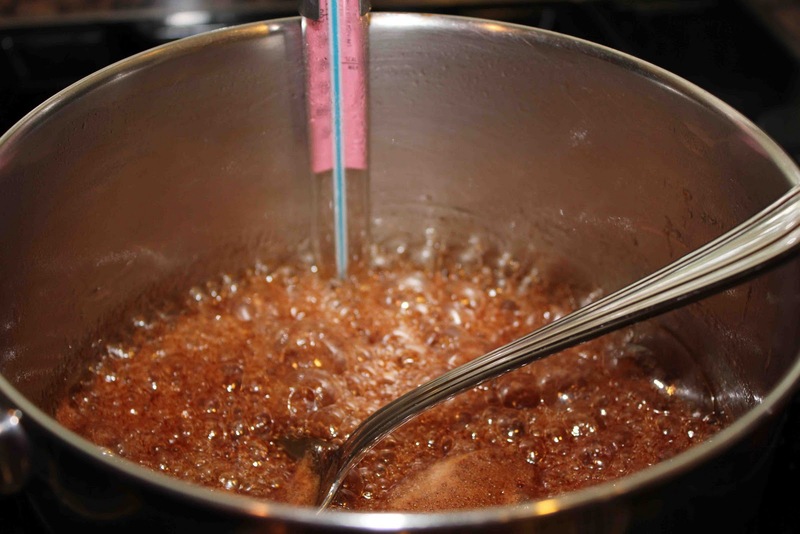 In saucepan, combine sugar, water, cinnamon, and salt. Heat and stir until sugar dissolves and mixture boils. Cook without stirring to soft-ball stage (236 degrees F). Remove from heat and beat by hand for 1 minute or until mixture just begins to get creamy. 4. Add vanilla to the warm nuts. 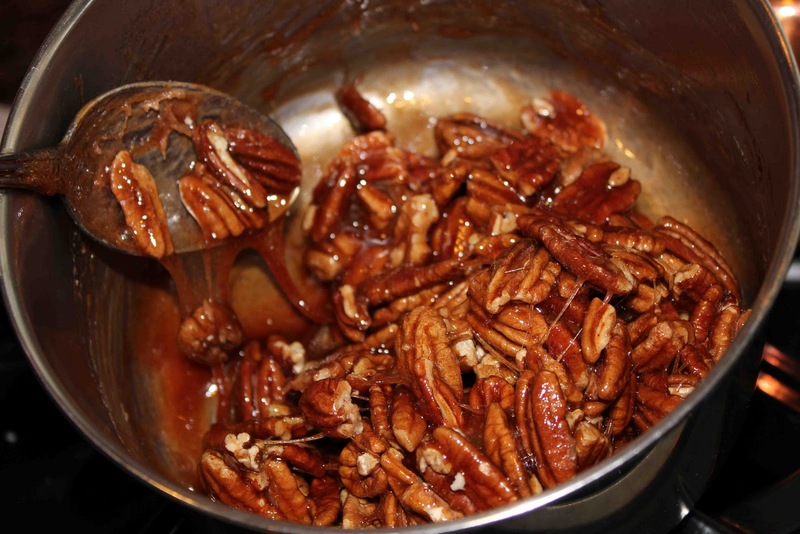 Stir gently until nuts are well coated and mixture becomes creamy. 5. Turn out onto buttered platter or cookie sheet. Separate at once, using 2 spoons or forks. 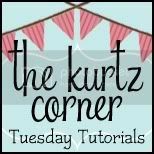 Check out my recipe and other recipes & crafts on The Kurtz Corner! One Response to "Crispy Sugared Nuts"